Commonwealth Edison (ComEd) is a local utility and energy delivery company with more than a century of experience. They remain focused on enhancing their services to benefit the people, environment and economies of the communities they serve. In early 2014, ComEd approached us with their plan to update the City of Chicago with new “smart” parking meters to save energy. They needed a semi-permanent storage solution to house parking meter parts during the transition. 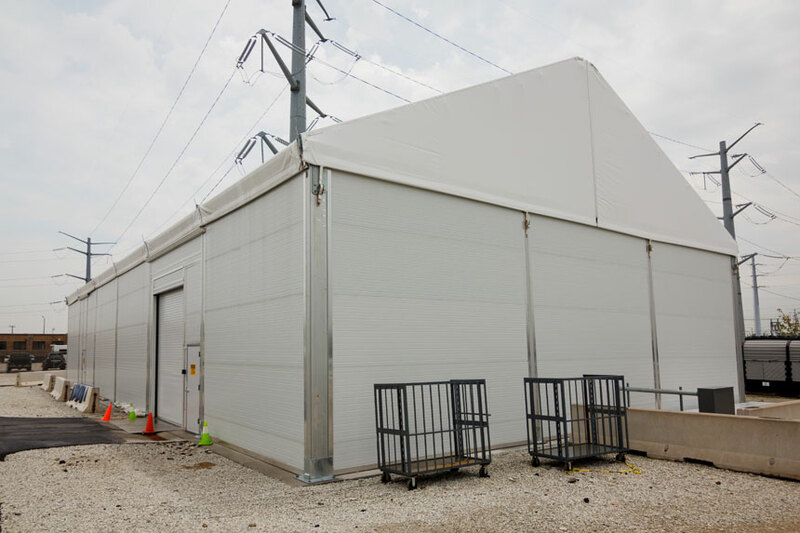 ComEd presented us with a list of requirements for the semi-permanent storage facility which included our installation on their grounds. 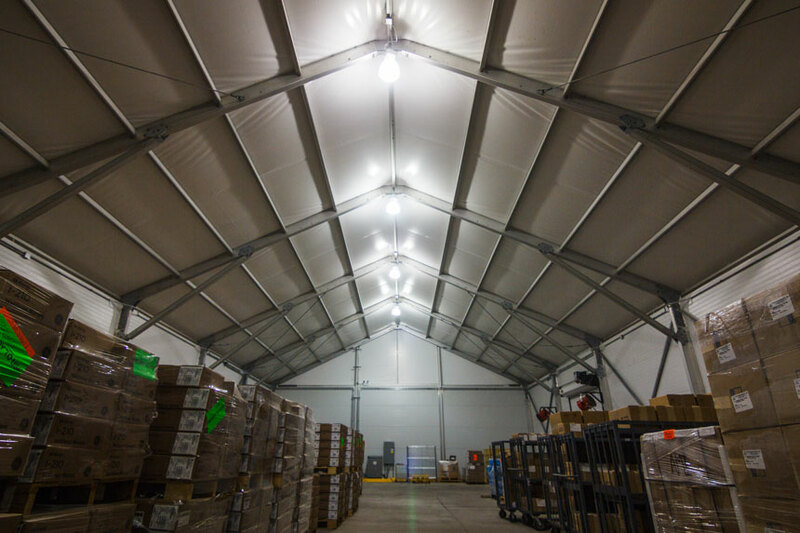 Our structure had to be secure, insulated and weather-proof, including snow-shedding for year-round installation. 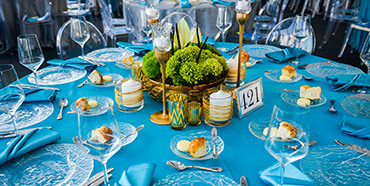 Our designers created the space utilizing our own line of AmeriSpan™ clearspan structures in our largest beam, AS334. The structure was installed with a 26-degree roof pitch to shed snow, preventing accumulation and resulting loads on the structure. We supplied a taller leg height at 17’, allowing ComEd to drive a forklift through the structure, as well as stack pallets of product. 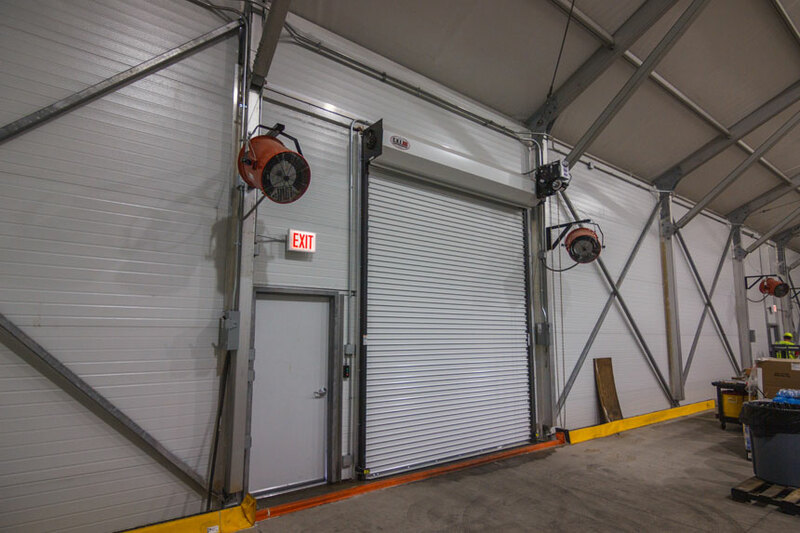 An overhead garage door was installed to allow easy entry and exit for forklift traffic. 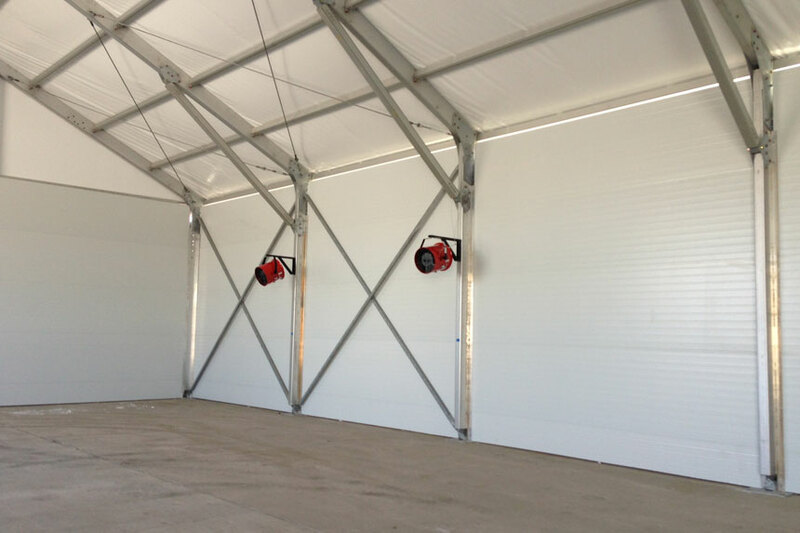 To ensure the security of the semi-permanent structure, we turned to a new-to-us insulated metal wall product, PermaTherm. Our team developed a system to integrate the panels modularly into our tent structure. A custom track system was installed to interface with the panels, which were then inserted from the ground up. PermaTherm is a waterproof and weatherproof product that, when paired with locking doors, greatly increased the security of the tent structure, far beyond standard vinyl tent sidewalls.